In medium saucepan, combine sugar and cornstarch; mix well. Gradually stir in water until smooth. Add gingerroot and 1/2 cup of the blueberries; cook over medium heat until mixture boils and thickens, stirring constantly. Remove saucepan from heat. Stir well to break up berries. Stir in lemon peel, lemon juice and remaining 1 1/2 cups blueberries. Serve warm or refrigerate until serving time. 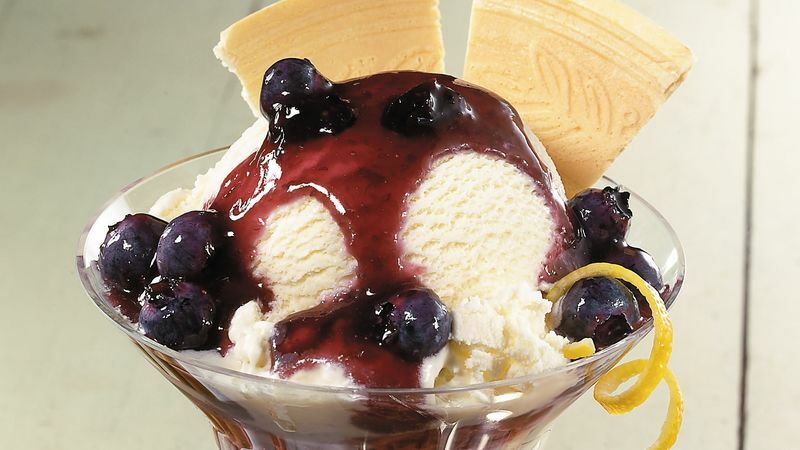 To serve, scoop ice cream into individual dessert bowls. Top each with blueberry sauce.